Traditional Country Pub in an idyllic village location. Open fireplace, pool room, dining area and dog friendly. 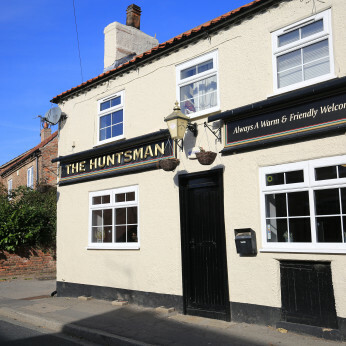 Huntsman in Drax is a useyourlocal.com member. The pub has a beer garden, it has a car park. Huntsman has disabled facilities. The pub gives a warm welcome to dogs and their owners, it is a family friendly pub. Huntsman serves food. The pub has an outside area, it serves real ale. Huntsman has a real fire. The pub has a smoking area, it has free WiFi. Huntsman has a dart board. The pub has DJ's, it has karaoke. Huntsman has live music events. The pub has a pool table, it holds quiz nights. Treat your special one this Valentine's Day and join us for dinner with our 3 Course special menu available at only £40 per couple. Why not add a bottle of Prosecco for just £10. Limited spaces available, call today on 01757 618642 to secure your table! Change in hours for the week. Next week there is a change to hours. But we do have a guest chef for sunday lunch 13th Jan.
5-8PM Eat in or take away. Saturday 2nd Feb food service 12-4 Then our Northen soul Night we have Flame Fresh pizza van on the evening.